I got an email from my friend Silvio in Monza to tell me that he crashed his motorcycle last week and hurt his knee. He thinks it will be a few weeks before he is able to walk on it again. I wrote about Silvio in the blog last summer when we visited Italy. We spent a day motorcycling in the Italian and Swiss Alps. He had loaned us his Honda VFR (the same one that was involved in the crash) and we had a great time riding it. I know this his lovely wife, Luisa, reads this blog and so please tell Silvio to get well soon and to be careful on that bike. He needs to stop scraping his footpegs around the turns because you never know when there will be gravel on the road. Today I came across a story about the inventor of the Killacycle, Bill Dube, nearly getting killed while demonstrating it. The Killacycle is an electric drag racing bike with the equivalent of 400 HP. It goes from 0 to 60 mph in less than 1 second. This is going to be one of those videos that gets viewed millions of times, and his sponsor, A123 Systems, will get a lot of free publicity as a result. It appears that it’s already crashing the server at TGDaily.com. It may be time to put it on YouTube. It turns out that Bill got scraped up, but is otherwise OK. I found out he must live not far from me, because Killacycle is based in Denver. 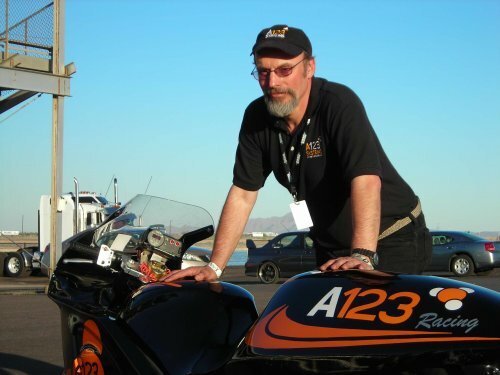 It appears that he’s also an experimental airplane enthusiast because he designed some LED position light kits that he sells on the same website that hosts the Killacycle information. The last hazard I have related to motorcycles is that of swapping bikes with someone. A few weeks ago Terri and I were out riding and she swapped her Ducati Monster for my BMW R1150RT. Previously she had never ridden the BMW on the highway and she quickly became accustomed to the comfort of riding behind a streamlined fairing, especially when the weather turns cool and it begins raining. 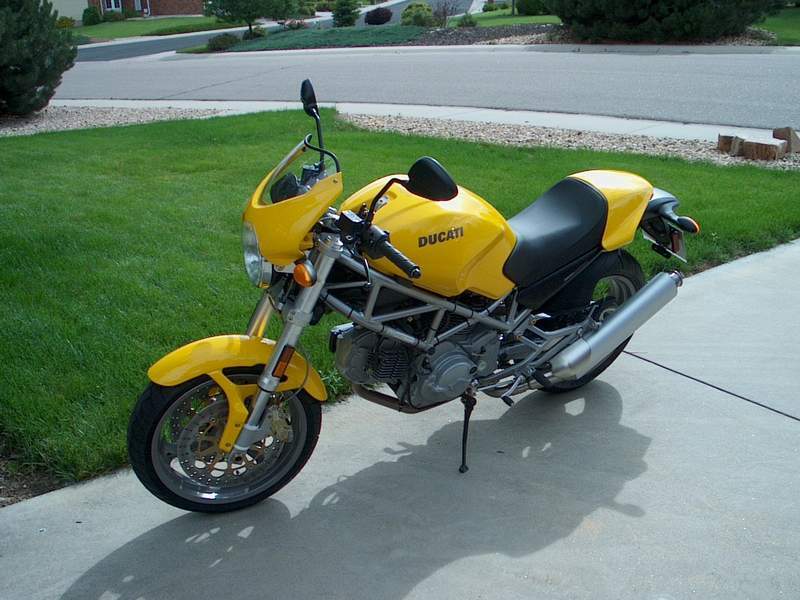 The end result is that the Ducati Monster is now for sale and she’ll be looking for something more like the Beemer for her next bike. This entry was posted in motorcycles by Lee Devlin. Bookmark the permalink. the video of the killacycle was pretty extreme. thats one of the things that electric motors are good at, spinning up FAST. when I was younger, I had a motor scooter. I loved that thing. it had a 250watt motor and with me (about 80lb at the time) it would go about 15mph. the problem with it was that it spin up so fast that my back hurt after i rode it. eventually, we returned it due to transmission problems. yeesh!the video of the killacycle was pretty extreme. thats one of the things that electric motors are good at, spinning up FAST.when I was younger, I had a motor scooter. I loved that thing. it had a 250watt motor and with me (about 80lb at the time) it would go about 15mph.the problem with it was that it spin up so fast that my back hurt after i rode it.eventually, we returned it due to transmission problems.